The techni-station Compact Add doesn’t just add a power supply quickly and easily but is also an attractive eye-catcher. Smart solutions for a changing working environment – in Wilkhahn’s case, cleverly integrating attractive technical features from the world go is part and parcel of sophisticated conference furniture design. Wilkhahn offers a modular system of installation frames and a flexible element for the exacting demands for adaptable power supply systems. The Compact or flexible Compact Add versions offer the right solution depending on requirements: the one thing both have in common is that the right connections are close by, making the conference furniture ready to handle the fast pace of today’s office environments. 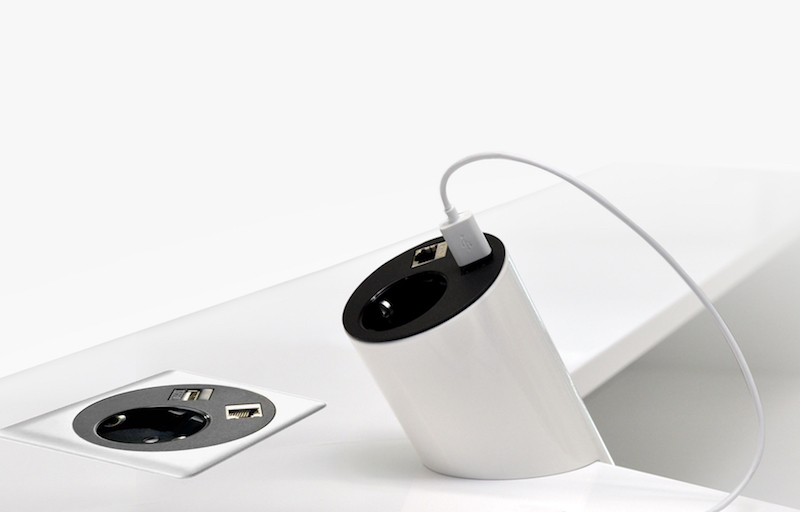 Whether a power supply, wireless or USB charging, a network connection or merely a cable outlet are required: with three installation frames, four ports and further optional modules, the techni-station Compact offers a configurable system that fits perfectly into the table top and can even be retrofitted thanks to replaceable modules. 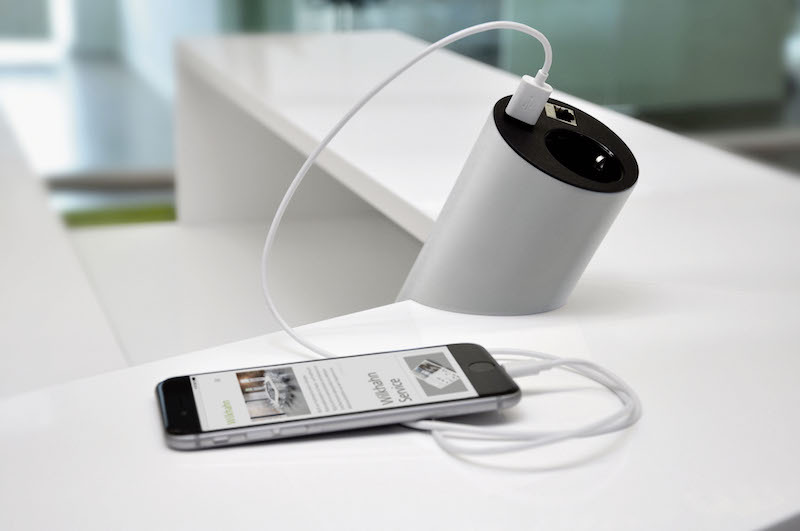 Concealed cable management underneath the table top is also ideal for clean desk policies. The techni-stations Compact and Compact Add complement each other perfectly and together provide even more options for a smart and adaptable power supply. Its techni-station Compact Add allows Wilkhahn to add a flexible power supply element that is simply attached to the table edge. No tools are required – a clamp and knurled screw allow the cylinder-shaped attachment to be fitted or removed in no time. 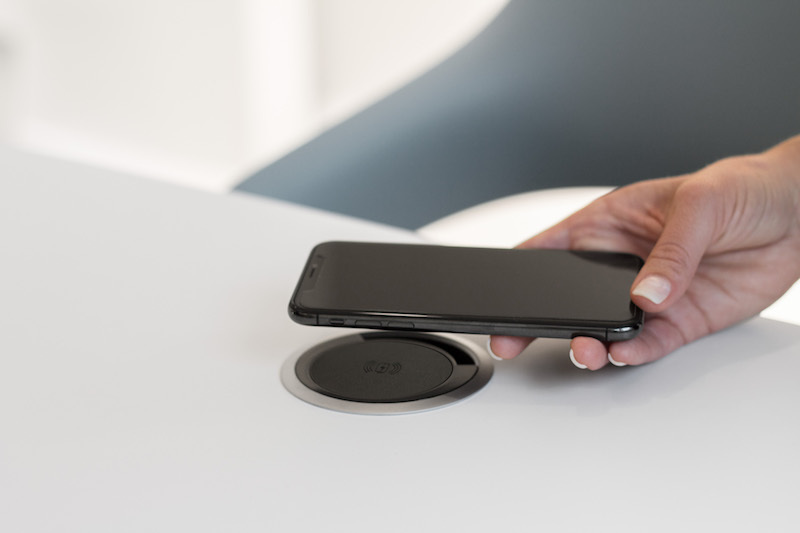 The advantage: as there’s no need to drill any holes in the table top, the power supply feature’s reversible, the table stays in its original condition and is therefore fit for any other purpose. 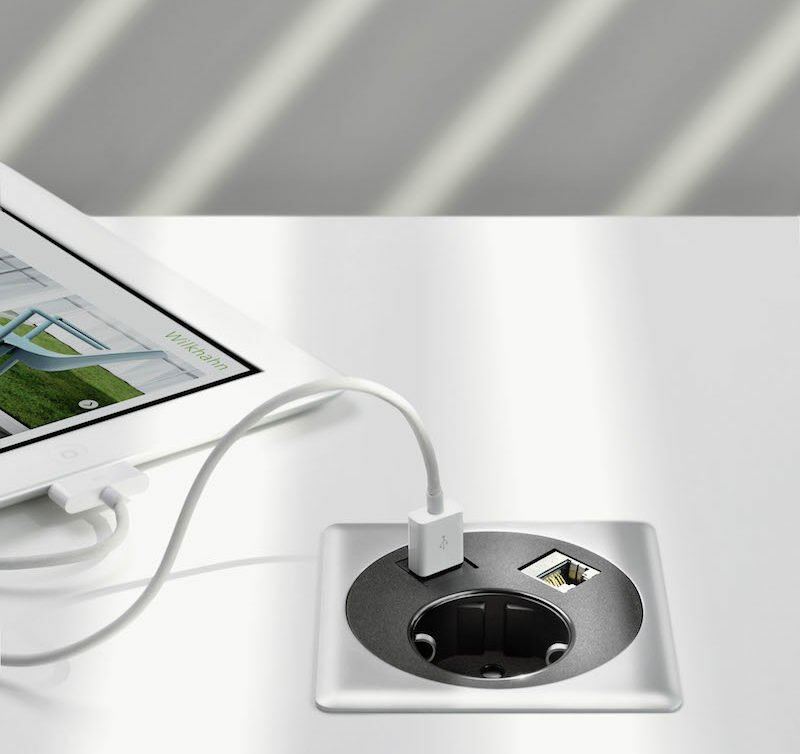 The techni-station Compact Add is available in two versions: one with a power supply module or one with a USB port that has two USB chargers for mobile devices. Furthermore, two further communication connections can be optionally added to both versions. They provide the electricity supply and look good too: the new techni-stations are more than well thought-out power supply solutions – they stand apart for their exceptional aesthetic with clear lines and contemporary designs. The flexible-to-mount Compact Add module is also impressive for its dynamic design – at first glance the tilted cylinder looks like an integrated solution and is a subtle and classy eye-catcher that literally looks part of the furniture. A digital brochure to download on the Wilkhahn website offers a clearly structured overview of the products.